I write a lot about books, but seldom about authors. By and large, that's because authors seldom write about themselves, so I try not to extrapolate too much out of their novels (or poems, or short stories, or whatever). But, now I have the license to write about an author who wrote about herself, or at least her authorial self, because Annie Dillard wrote The Writing Life and gave me (and her other readers) a glimpse into her little world. The Writing Life isn't long, but once you've read it you'll wonder how it ever got to its finished length. Dillard, it seems, toils over every word, every line, every paragraph, scrapping pages that don't work, rewriting scenes, and generally labouring over her writing the way an architect and an engineer might labour over plans for a new building. She will not rest until she gets it just right – settling, you see, could lead to disaster. And so she struggles; deliberately shutting out the world until she gets everything right. And somehow, amongst all her other pages and thoughts and anxieties, Dillard managed to write a book about how she writes books. In some ways, it seems like a rather indulgent undertaking, a bit "look at me and at how hard I work," except, in the case of Dillard, she seems to think most writers work the way she does. Although the memoir (for lack of a better word) is about her, Dillard manages to sidestep the question of the herself as subject and focus on the task at hand. And that's exactly how she works. In prose that – if it were something besides words on a page, would be ribbons fluttering around and folding back on themselves – rolls along at an almost giddy pace, Dillard talks about the sterile offices and freezing cold cabins that she elects to write in. She prefers a barren landscape (and she'll close the blinds, even if the only view she gets is of a concrete roof), devoid of comforts so that she can more fully immerse herself in what she's writing about. 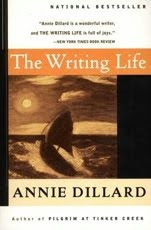 The Writing Life, as far as Dillard is concerned, is lived in the mind and the imagination. And when real-world forces, such as editors or publishers, act on that life, emotions roil. Dillard writes about the anguish of thinking your work is no good, and the high of feeling that you've gotten it right. The Writing Life is about courage, mostly. Dillard's courage to follow a path that is so painful and full of sacrifice is rendered as a kind of marching order for writers, or anyone who wants something they know they'll have to fight for. 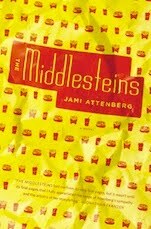 She is both inspiring and frightening in her stark but affectionate portrayal of life as an author. She is like a general, reluctant and unsure, but charging into battle anyway, pen raised high.